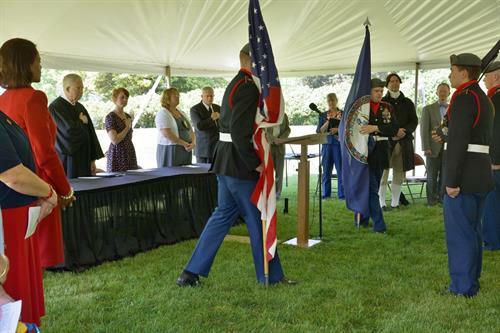 Patrick Henry's Red Hill will host its annual Naturalization Ceremony on the beautiful grounds of Henry's last home and burial place, overlooking the Staunton River valley. A more fitting venue than the home of Patrick Henry would be hard to find for welcoming new citizens to the United States. It was Henry's impassioned plea of "Give me liberty or give me death!" that has endured as the world's most famous cry for freedom. That cry and the events it inspired attract immigrants and refugees alike who believe in the freedoms on which our nation was formed. 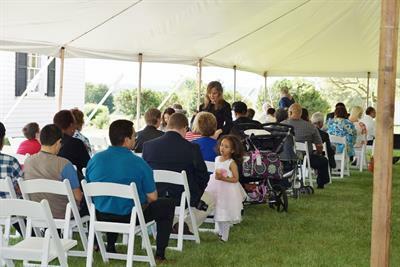 The final step in the process of becoming a naturalized U.S. citizen, the ceremony welcomes citizens to celebrate their new status in the country. 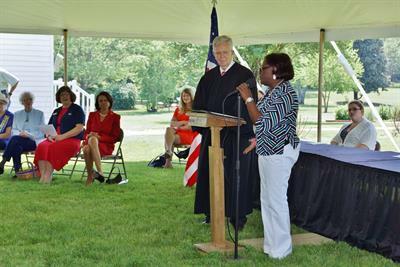 Approximately thirty individuals will be sworn in by officials of the U.S. District Court - Western District of Virginia. Prior to the oath ceremony, docents will be available in Patrick Henry's house and law office. 18th century interpreters will demonstrate blacksmithing, spinning and seaving, and will be in the historic buildings. 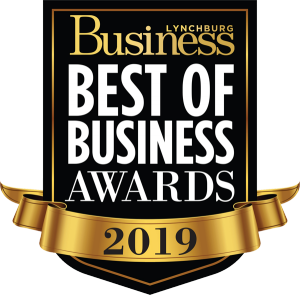 Visitors are invited to stay following the ceremony for a reception hosted by the Patrick Henry Auxiliary and Brookneal Woman's Club.